4, 6 or 8 analog inputs, each of which can accommodate an 8-channel digital probe. 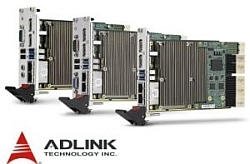 This offers the possibility to combine up to 64 digital inputs on the same platform. An frequency bandwidth upgradable after purchase : 350 MHz, 500 MHz, 1 GHz and 2 GHz. A sampling rate on all analog and digital channels of 6.25GS/s. A memory depth on all channels of 62.5 M expandable to 125M. 12-bit analog-to-digital converter (ADC) ; 16-bit resolution with high res mode. 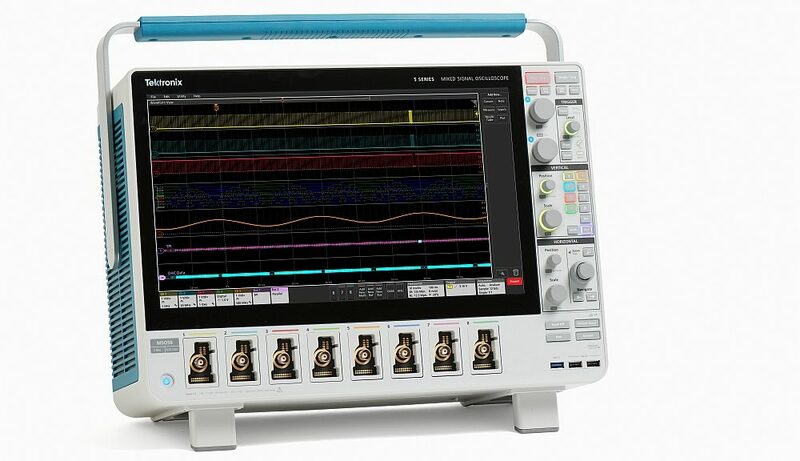 The choice to use the oscilloscope under Windows or as a dedicated instrument. Up to now, the oscilloscopes available on the market traditionally offer 2 to 4 digital channels, which can typically be associated with 8 to 16 digital channels offering the ability to simultaneously acquire and view analogue and digital signals. Tektronix breaks with this tradition by offering a great flexibility in the choice and use of digital inputs, the number of which can vary according to the requirements of the application. Its MSO series 5 oscilloscopes are equipped with standard 4, 6 or 8 analog channels. By default, the input is a TekVPI connector that accepts all TekVPI analog probes. But when the new logic probe TLP058 is connected, this input is converted into 8 digital channels. This leaves a lot of freedom for the user. An 8-channel model can acquire 8 analogue or 64 digital signals. But it can also operate 4 analog channels and up to 32 digital inputs, 2 analogue channels and 48 digital channels. Many combinations are possible. It is only necessary to acquire the number of probes TLP058 for the application. Digital signals are sampled, triggered and recorded in the same way as analog signals, ensuring the correlation and synchronization of analog and digital inputs. 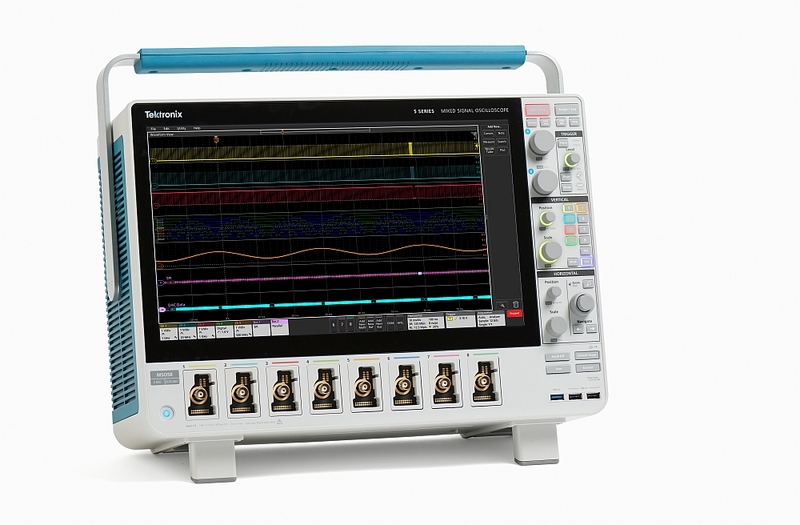 To configure, view and analyze such a number of channels, Tektronix has equipped its oscilloscope with a large capacitive touch (15, 6″ and 1920 x 1080 resolution) and a Direct Access user interface that emphasizes intuitiveness and ease of access to functions. This user interface allows to control the instrument through objects displayed on the screen. But it is still possible to control the oscilloscope with a mouse and via the front panel. The MSO 5 series platform can run (or not) under Windows in order to open it to other applications or it is possible to switch at any time from a dedicated device “closed” to other software applications or in an “open” instrument. The user can switch between the two modes by adding or removing an SSD on which a Windows license is installed in a slot under the oscilloscope case. When the SSD is installed, the instrument starts up in Windows. When removed, the instrument starts as a dedicated oscilloscope. Enhanced bandwidth from 350 MHz up to 1 GHz by soft key and up to 2 GHz via Tektronix Service Centers. An arbitrary / arbitrary function generator (AWG) of 50 MHz. Recording memory depth up to 125 Mpoints. Additional protocol triggering and decoding functions (I2C, SPI, RS-232, CAN, LIN, FlexRay, USB, LS / FS / HS, Ethernet, 10/100, Audio, I2S / LJ / RJ / TDM). Applications of jigue measurements and analysis of the eye diagram. The MSO 5 series oscilloscopes are backed by a three-year warranty and stand out with a depth of just 20 cm. There price begins from 12,700 € HT for a 350 MHz 4 analog inputs model to 40800 € for 2 GHz 8 analog inputs model. The logic probe to transform any analog input into 8 digital inputs is sold unitarily at the price of 1810 €.